If 2017 marked a triumphant jubilee for Procol Harum, 2018 looks set to fulfil the title of their new Box Set release, Still There’ll be More. This lavish 8-disc affair looks back over the first fifty years of a unique British band whose illustrious and influential career began with the worldwide success of A Whiter Shade of Pale, one of the most recognisable and most-played songs ever. The boxed set boasts cherry-picked studio tracks, rare live concerts, an archive poster and a stunning, 68-page illustrated hardback book. Furthermore, its three DVDs of classic live performance confirm that the band has always been impeccably thrilling in concert – as the audiences in sold-out theatres across Europe discovered as Procol toured to promote 2017’s critical triumph, the Novum CD. Novum commemorated ten years of the present superb line-up Procol line-up, and audiences were wowed by the classy new material, played with passion and trademark droll humour. Of course the live shows also feature much-loved favourites such as A Salty Dog, Grand Hotel, Homburg and Conquistador: ‘prime choices from across their illustrious catalogue’ as Record Collector observed. Procol Harum are so much more than a ‘progressive’ band: their unique music grew, and continues to blossom, from deep roots in blues and soul. Their live radio and TV performances continue to draw new fans in, demonstrating how Procol material – never written with fashion in mind – has never dated. 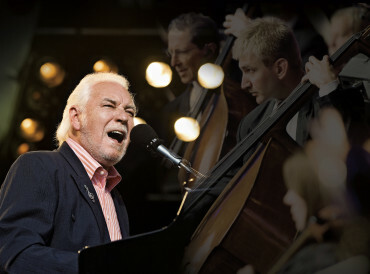 At the heart of Procol Harum’s evolving musical force Gary Brooker MBE has been singer, pianist and principle songwriter since day one; his side projects include collaborations with George Harrison, Ringo Starr, Eric Clapton, Bill Wyman, Kate Bush, Wings and even Lonnie Donegan. Geoff Whitehorn has been Gary’s right-hand man for 26 years, as well as supplying lead guitar by appointment to the British rock aristocracy in the form of Roger Chapman, Elkie Brooks, Paul Rodgers and Roger Daltrey. Hammond organist Josh Phillips is also a composer of TV music (such as the award-winning theme for the BBC’s Strictly Come Dancing) and has played live with The Who, Rod Stewart, Ronnie Lane, Jeff Beck and many more: his mastery of the Montage synth brings additional drama and subtlety to the band’s trademark sound. Bassist Matt Pegg (son of Fairport’s Dave Pegg) joined Procol in 1993, after depping for his father in Jethro Tull; he has played with Francis Dunnery, Squeeze’s Chris Difford, The Drifters, and The Stone Roses’ Ian Brown, and is currently bassist for Rick Wakeman as well as for folk-rock supergroup The Gathering. And ‘new drummer’ Geoff Dunn, who joined Procol Harum back in 2006, has also been the powerhouse behind luminaries such as Jimmy Page, Dave Stewart, Van Morrison and Manfred Mann. Well-established by concert tours throughout Europe and North America, Procol Harum has recently released several live albums, and seen its whole back-catalogue of classic studio albums – all so different in intriguing ways – remastered and released with eagerly-awaited bonus tracks. Critics are at last seeing the band in its proper perspective: Classic Rock magazine noted that ‘it’s small wonder The Who’s Tommy and Queen’s Bohemian Rhapsody can be traced to Procol’s influence’. In yet another step forward Gary Brooker now shares the composing with Phillips and Whitehorn, while Pete Brown (famed for supplying words to Jack Bruce and Cream) builds convincingly on the band’s inspired tradition of startling, sometimes darkly surreal songs, with his own droll and thought-provoking lyrics. Gary’s team of musicians have no need to imitate their illustrious predecessors; but they certainly honour Procol Harum’s past achievements while bringing their own musical personalities to the party. For their ever-growing legions of fans all round the world this is the true Procol Harum, shining as brightly as ever, more than half a century after their unforgettable début lit up the late 1960s. that Procol Harum (known for the 70’s classics, ‘A Whiter Shade of Pale’ and ‘Conquistador’, among many others) are currently planning to invade the former colonies in mid-to-late 2014. The talk of the town also includes hints of a special performance or two.